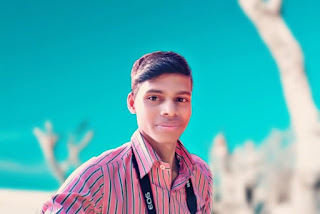 They have an amazing referral Scheme which is an simple way to make paytm cash by referring and here are all the thing you need to know to earn by just referrals. But what actually is this Predcred ?? Refer and Earn PredCred is a simple referral scheme like any other referral program out there that you might be familiar with basically when you join on the app you get a referral code you share that with your friends, family, sports lovers like you and for every successful referral you earn Rs.5. It is simple math the more referrals you do more money you make. 1. Open the app first. Download or Install Here if you have not !! 2. Click on the Me Icon Bottom-Right corner. 3. Now click on the Refer and Earn Option. 4. Share your referral code and start earning Preds. 5. For each referral you will get 500 Preds and your friend will also get 500 Preds. How To Predict and Earn On PredCred App ? 1. Open the PredCred app first. 2. Select a match you want to predict on. predict for or tap on draw. stake you can stake any number of Preds. 5. Now tap on Submit. 6. You can also make a detailed prediction. Since you have come here all the way here is the information about the prize money that is up for grab. The refer and earn gives you a chance to win money from a pool of Rs.80,000* so basically if you do 50 successful referrals you make Rs.250 and it's all up to you the more you refer the more you earn. 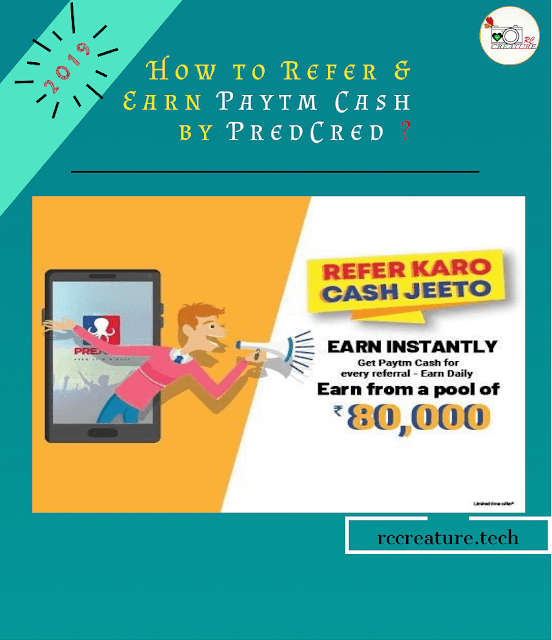 The PredCred Refer and Earn gives you an easy way to make easy and fast PaytmCash. What's the Terms and Conditions ? Payouts will only be made after every 5 new successful referrals. 1. Open the PredCred App and go to the Redeem page. 3. Now tap on the "Redeem" button on the bottom-right corner. 4. A window will pop-up displaying the voucher code. You will also get a message to your registered number and an e-mail. 6. 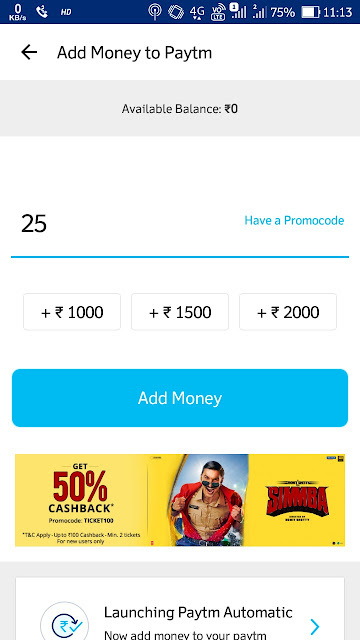 Open Paytm app or open Paytm in browser. 8. Enter 25 as amount and click on "Have a Promo Code"
9. Now enter the voucher code and apply the code. You will see a success message :"Success. 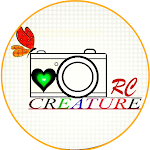 Cashback of Rs.25 will be credited to your account within 24 hours". 10. Now tap on "Done" and then "Add Money". You will see a message saying that Rs.0 has been added to your account. That's due to you'll get Rs.25 in your paytm wallet within 24 hours. So now that you know about PredCred, is a referral program going. 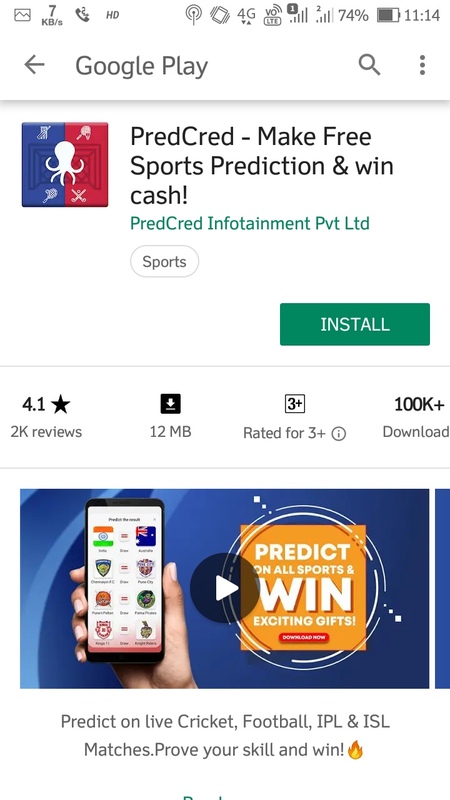 Then why are you waiting for, go & start Downloading PredCred app, and share Referral code to as many as people possible to earn the maximum amount of Paytm cash. Let me know whether you faced any problems in comment box below . Thank you !! Tags : how to use predcred,free paytm cash,paytm cash,predcred,how to earn paytm cash by predcred 2019,how to win from predcred 2019,earn paytm cash,how to,earn free paytm cash 2019,predcred paytm 2019,paytm,refer and earn paytm cash 2019,earn daily paytm cash,how to earn online money,how to earn free paytm cash 2019,how to redeem in predcred 2019 .